Before spring’s arrival, we became inspired by yet another amazingly beautiful Japanese garden method, Kokedama. Kokedama is a style of Japanese bonsai, where a plant's root system is simply wrapped in sphagnum moss and bound with string, transforming it into a sculptural art form. Loosely translated, ‘koke’ means moss and ‘dama’ means ball. The original Japanese form of kokedama had miniature sculptured bonsai trees displayed on handmade pottery or pieces of driftwood. They encapsulate the Japanese aesthetic of Wabi-sabi, which can be explained as an appreciation of the imperfections of nature and the transience of natural beauty. Characteristics of Wabi-sabi include simplicity, warmth, earthy, irregular, rough, natural, acceptance and observation. Kokedama are created as a reflection of the Wabi-sabi principles. Team Bloom was lucky to spend the afternoon making our messes on Crystal Floyd's fantasy plant porch. Seriously she must have had over 100-something different varieties of just succulents and cacti. She's an incredibly talented visual artist in Jacksonville, FL and uses her green thumb to make the most iconic and whimsical terrariums. Her glassy little natural worlds are just an expression of the influences and interests of her as a person. Best part was chatting her up about succulent faves and peeking into her world of art, botany and naturalism. I could keep going, but I think we should save the rest for a whole other story, just be sure to check out her work! Ok, I digress, clearly being plant fanatics we were all stoked for this new string garden endeavor. 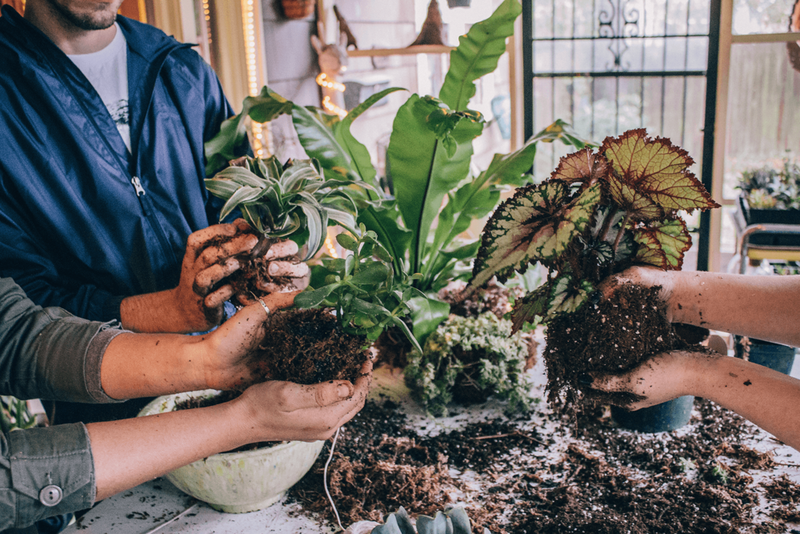 Most indoor plants prefer to grow in bright but indirect light, although you can also have them outside in frost-free (above 45 degree) weather. Water regularly during the growing season (spring and summer). When watering dunk the ball into a bucket of water and watch for bubbles. When you no longer see bubbles, your plant is fully watered. Check the twine over time to make sure it stays secure and is not rotting out. If necessary, replace with new string. Remove any dead or diseased foliage to keep the plant healthy. If roots start to show through, its time to repot. Repot plant if it’s outgrowing the moss ball in a bed or container. 1. Choose a plant and know it’s cultural requirements i.e. sunlight, shade, water so they can thrive happily in their new kokedama home. Hardy, shade-loving plants with small root systems are best. Ferns, begonias, pathos, ivy, succulents, and orchids are ideal for string gardens. 2. If you have a potted plant remove it from the container and dust off some of the soil. Dust off some of the soil and shape the soil around your roots into a spherical or any desired shape. 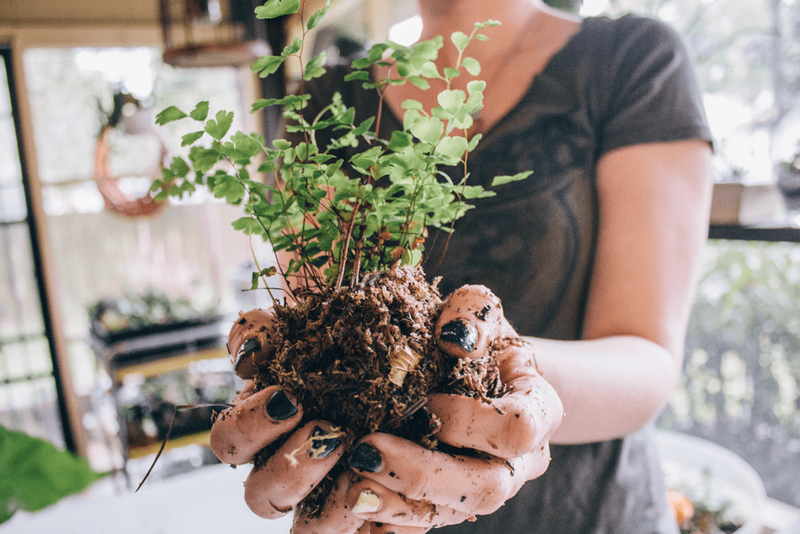 If you need to add soil, peat moss + potting mix or bonsai soil (Akadema) with water will help form a mud ball while allowing moisture and nutrients penetrate the plant roots. You know your consistency is right when you can form a ball without the soil breaking apart too much. 3. Encase your soiled roots in soaked sphagnum moss by pressing and wrapping it with twine. It’s a little tricky holding it all together, but the aim is to keep adding moss and wrapping the twine around your ball to keep the moss in place and achieve your desired shape. Tie a knot when you think its secure enough to hang. 4. Once your plant is tucked in and bound completely submerge the ball in a container of room temperature water for 3 to 5 minutes. 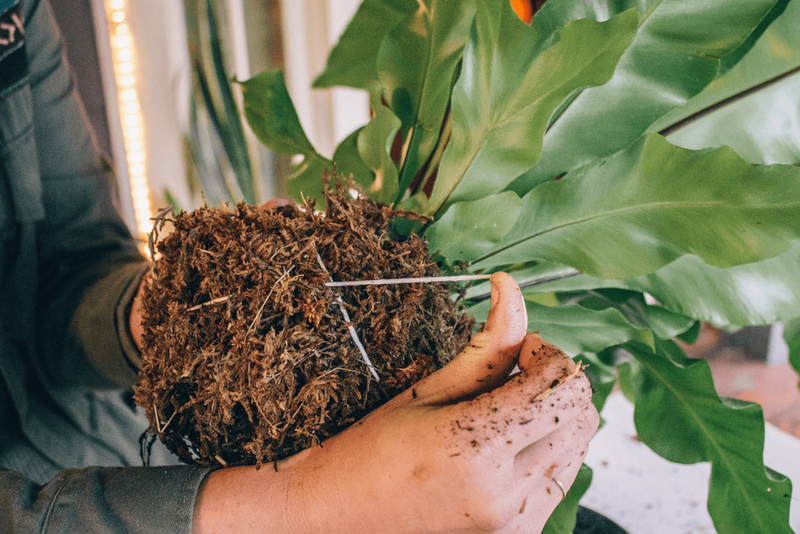 Sit the watered Kokedama on a plant plate to drain and then create a harness and hang where the conditions are suited to the plant’s needs. Since the plants might drip a bit after watering be careful not to hang them above anything that could be damaged by this. This method of watering will provide sufficient water for several days, depending of the air temperature. 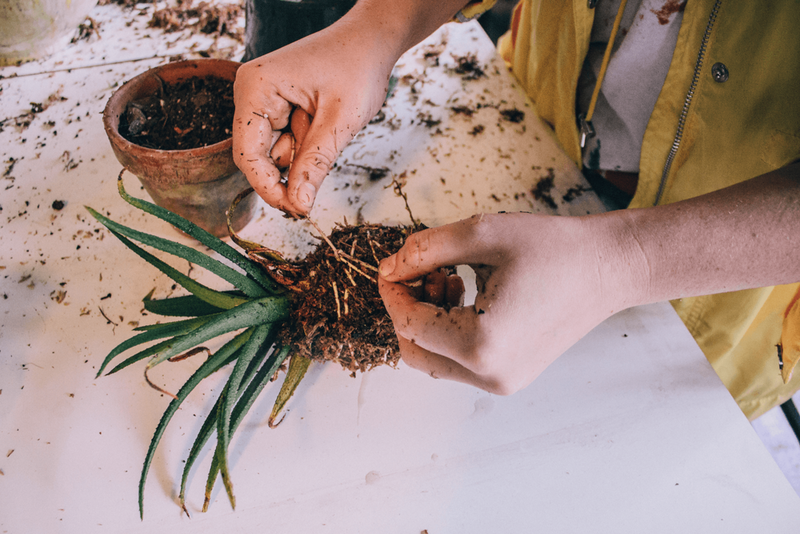 Because the plant is not in a solid vessel, it will require waterings that are a bit more frequent than other plants in your interior/exterior garden.